The Thrifty Groove: Attention Foodies! By now, most of you are fully aware that we own our own herb business. We have a small blog for our company DTL Herbs and are trying to expand the blog more. 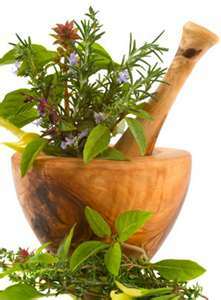 One of the most important goals for this blog is to educate people on herbs. And that includes giving folks ideas of how to use different herbs. We quickly realized at the Farmer Markets that people want to cook with more herbs but, don’t feel comfortable enough in their knowledge of herbs. Every market we are at, Troy ends up spending a huge amount of his time answering questions and “teaching” people about herbs and their uses. So, we thought it would be fun to add more recipes using herbs on our DTL Herb blog. And that is where YOU come in! We would love to feature recipes from all you amazing food bloggers and those who just enjoy creating different dishes and blogging about them from time to time. Our goal is to feature a different blog and that blogger’s recipe using herbs each week. And we need your help! If you write a post with a recipe using herbs and would like to submit if for us to post, we want to know! You don’t need to be an expert on herbs or even a major foodie. We just want the average person out there who is interested in learning and cooking with herbs to have some ideas of recipes. So, please feel free to email me any of your recipe posts using herbs. We would greatly appreciate it! Now, with all that being said, This is our first post featuring a wonderful blogger, Heather from Life at Willow Cottage. Heather had left a comment on one of our posts over at DTL Herbs and both Troy and I checked out her blog. And what did we see? These amazing mushroom sandwiches! After we stopped drooling, we immediately contacted Heather and said we want to steal use this recipe on our blog! She graciously gave us permission. These look so fabulous! and I love the idea of a meatless sandwich. Mushrooms give you that whole meat feel to a sandwich. I can’t wait to try this recipe out! Here is her post in it’s entirety. My darling husband and I are going to to on a special date. We are going out to sit on the dock all by ourselves. The kids are getting pizza and a movie while we get some alone time to watch the sun go down and peace and quiet. I am so excited I gave my toe nails a fresh coat of polish! It's going to be so fun. So, for our special date, I am making mushroom and goat cheese sandwiches, grilled asparagus, iced tea and strawberries for dessert. Hubby is on a mushroom kick which is fine by me. Today, I am going to show you how to make our favorite mushroom sandwiches. This sandwich is so good. It is filling and so full of flavor. Each bite is a flavor explosion in your mouth. Love that! So, the board of ingredients is pretty simple. I am using these nifty little sandwich rolls that hubby picked up at Costco, but you can use any bread you like. I dug through the entire cheese chest at the grocery store to find the prettiest label. Then my son used the log of goat cheese as a drum stick and wrinkled it all up! (Do you have a teenage son that you sometimes feel like choking? I do. He is so lucky that I love him so much!) Anyway, here's the goat cheese. Here is a close up of the bread hubby picked. Okay, to get started, slice the roll in half and toast it or grill it. If you are using regular bread, then just them slap onto the grill or in the toaster. We love grilled bread, but I was not wasting a moment of our time together on running back and forth from the grill. Now to make our goat cheese a little more user friendly. I am using about two ounces for two big sandwiches. I am going to add lots of yummy things to the goat cheese now. Some finely chopped green onion is so good. I cut the green onion in half length wise. Then each half gets cut again length wise. Then you slice is width wise to get a finely chopped pile of green onion goodness. Add the lovely little green onion bits to the goat cheese. Next in are some finely chopped herbs. I am using chives, sage, basil and thyme. You can use whatever you like or you can skip this step altogether. A tiny pinch of salt and a regular sized pinch of pepper go into the bowl as well. Finally some skim milk goes in. The milk is going to thin out the goat cheese. Start with a little bit of milk (about two tablespoons) and mix it in. Keep adding milk a little bit at a time until you get the consistency you like. I thin my mixture down to the viscosity of mayo. Is mayo viscus? I think it is. Now, onto the mushrooms. See that stem in the middle of the mushroom? We don't really want to eat that. It can be woody and tough, so we are just going to grab it and rip right out of the mushroom cap or cut it down so that it does not go past the gills. Then flip the cap over. Give it a drizzle of olive oil and massage in some salt and pepper. The mushroom will soak up all the oil as well as the flavor from the salt and pepper. Flip the mushroom again and give the gills some olive oil, salt and pepper love. Now your ready to cook this baby up. Here is the link for some cooking instructions. Now, we have some beautifully toasted rolls waiting for some attention. I like to spread a thin layer of goat cheese on each half of the roll. You can go with a thicker layer on one side if you want. This is fresh spinach from our garden. You can add whatever extra topping you would like. Provolone, a big slice of tomato, a few rings of red onion, regular lettuce...basically anything you would put on a regular burger is good on this sandwich. Then we add our juicy, flavorful mushroom. I added a few sprigs of thyme to the pan while the mushroom was cooking, but you don't have to do that. Mushroom love on a plate...or cutting board. I have to run, cause my fella is waiting for me. Enjoy! So, lets recap. Take some goat cheese. Add some stuff to it that you like. I have been known to serve this to my children with only a little pepper and salt added in. Don't worry about getting to fancy. Thin it all down with milk. Stir it up. Spread it on something toasted. Eat it. Love it. Thank you so much Heather for this wonderful recipe! You can go directly to the post at Heather’s blog by clicking he link above! Great looking sandwich! Would love one of those! Good luck with the herb blog, what a great idea to have guest posts! I know this sandwich is great!! My daughter makes it for me, and as a dedicated beef eater, I even love it! And using those herbs makes does make the difference in taste. I recently joined an online "get healthier" group and am looking for ways to improve my diet. This will be exciting to try. Diann & Troy, I was thinking about you this week. I am organizing some bookshelves and have a number of herb books I collected for aromatherapy and crafting. I will have to find some good recipes for you. Maybe as a side product you can edit a limited edition cookbook to sell at the market as well. This looks scrumptious! I will be checking out your herb blog. Enjoy your day! What a very unusual recipe. Great for mushroom lovers. Good luck with the new blog, I'll be following and looking forward to all the recipes. Looks and sounds delish! I know the fresh herbs must make all the difference. Wow does this look good! Hope you enjoyed your quiet time on the dock. Thanks for your sweet visit. Oh gosh this looks fabulous! Something I'll be trying soon. I will certainly keep you mind when I cook something delish - with herbs.. which just a question.. how can you cook without them??? Lol.. many blessings and thanks for your kind visit. I did a pesto sauce recipe post a while back, if you would like to use the recipe and photos to post here, just let me know. I love portabella sandwiches. What a great idea to post herb recipes on the DTL blog. I will definitely let you know when I post a recipe that showcases herbs.